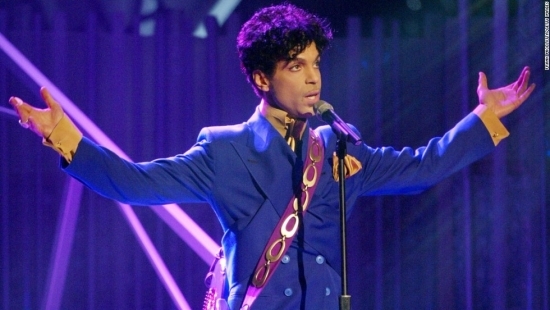 Pop music legend, Prince, was found dead on Thursday morning at his Paisley Park estate in Chanhassen, MN, outside of Minneapolis. His publicist confirmed the death. There are no further details at this time. Prince Rogers Nelson stood a diminutive 5' 2" but brought a creative and innovative force into the world. Often at odds with his record label, the multi-instrumentalist forged new and inventive sounds and had a distinctive personal style. Prince carried himself with a certain enigmatic energy that seemed to attract many and will be missed by more. He was reportedly suffering from a flu recently. Prince was 57 years old. We are all deeply saddened by this tragedy, and my heartfelt sympathy goes out to the young girl’s family and friends as they grieve this terrible loss. Howard High School of Technology has a rich history in the City of Wilmington, and in this time of great tragedy, it is critical that we embrace the students, parents, faculty, and the entire Howard community. The Philadelphia Flyers paid tribute to their late founder Ed Snider this afternoon with a public memorial at the Wells Fargo Center in South Philly. The event was free and open to all who wanted to join in celebrating Mr. Snider's life and contributions to Philadelphia and its sport's history. Fans, alumni, and players filled the seats at the Center. Public address announcer Lou Nolan acted as Master of Ceremonies. Lauren Hart sang “God Bless America.” There were also remarks from Brian Roberts, Jack Williams, Gary Bettman, James Kenney, Virlen Reyes, Drew Katz, Michael Milken, Bob Clarke, Lindy Snider, Jay Snider, and Jacob Snider. Ed Snider passed away last weekend after a 2 year battle with cancer. He was 83 years old. In addition to his role as chairman and founder of the hockey club, Snider was chairman and founder of Comcast Spectacor which owns the Wells Fargo Center and managed the Spectrum. The company also owned the 76ers, ComcastSportsNet, and Prism. He started the Ed Snider Youth Hockey Foundation in 2005 to allow Philadelphia kids a chance to learn and play hockey.